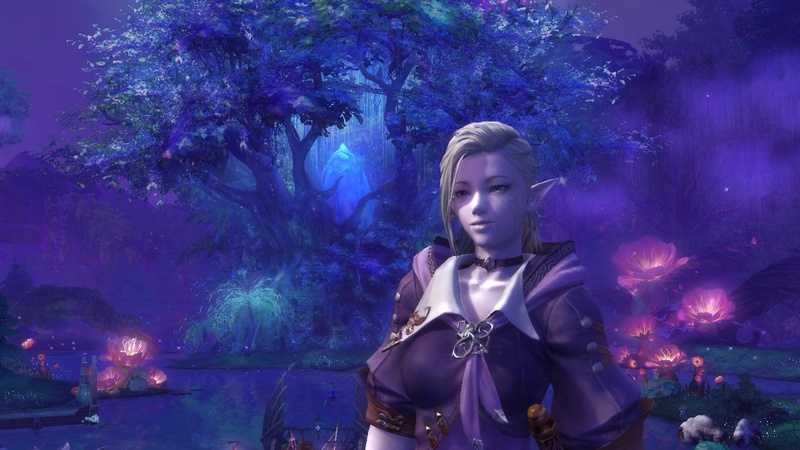 As long-time readers may know, Aion is a game for which I have long nursed a special affection, despite its significant flaws and the fact I’ve spent relatively little time playing it. Even so, it had been so many years since I last played I had thought my time with the game done… until I heard of the Awakened Legacy patch, a Cataclysm-style revamp of the entire game. 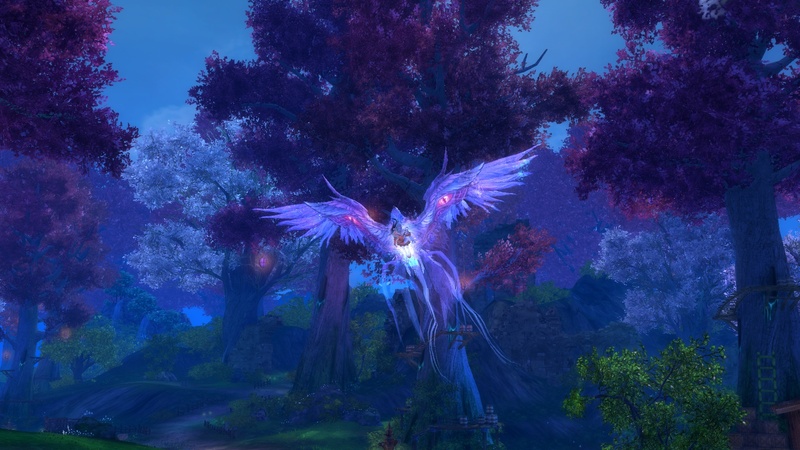 Awakened Legacy is not without its controversy, and I fully understand why, as it not only changes but also straight up removes large swathes of content, but it seemed like an excellent opportunity to give Aion one more chance. Trying to jump in on my level ~30 character after so many years and so much changes sounded like a recipe for headache, so I decided to start over with a new character on a new server. That said, I was also attached to my ranger, so I took advantage of a very convenient feature that allows me to easily export and import character appearances. I therefore started over with a new ranger who was almost* an exact clone of my original. 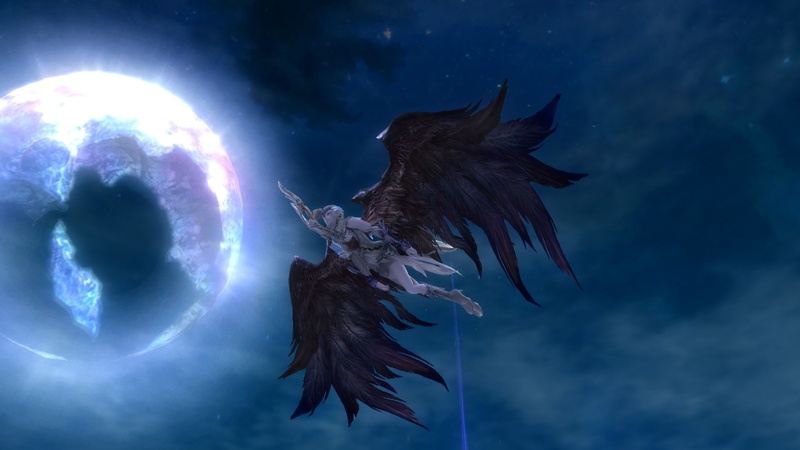 I’ve said it before, but there is something special about Aion that most other games lack. There is a character to the world, a sense of place. It’s hard to put your finger on, but I think it’s some special alchemy born of the dreamy and colourful environments, the rich backstory, the surreal cosmology, and many small touches that add personality to the experience. For instance, at one point I ventured into an area with heavy snowfall, and my character spontaneously began trying to catch snowflakes and generally frolicking. It was a delightful little vignette, and it makes other games seem terribly lifeless by comparison. But I’m getting ahead of myself. While much was familiar upon my return to Atreia, it was immediately clear that much had changed. At some point the starter zones got a complete graphical overhaul, so while Ishalgen is still recognizable as its old self, it looks much, much better. I mean, it was always pretty, but now it’s downright stunning. I think there may have been some general graphical updates since I last played, too. The lighting seems more dynamic, and I don’t remember there being hair physics before. Low level gear has also been completely redone, and is now almost too pretty. All told, Aion is aging very, very well. The cosmetic updates are the least of the changes, though. Awakened Legacy has truly rewritten the game. I’ll say off the bat that I think Aion needed some trimming. It was a slow game with a lot of filler content, a product of an older school of design that has long outstayed its welcome. That being said, even I balk a bit out how heavily the game has been streamlined. Copious amounts of content have been completely removed, even including entire zones. Leveling has been sped up to an almost absurd degree. I already find myself much more advanced, in both levels and content, than I was on my old character, despite only playing very casually. Again, I think Aion did need some trimming, and it did need to be sped up. It was much too slow before. But it’s been taken to such an extreme that a lot has been lost in translation. When I played before, I recall there being a lot of internal intrigue in the Asmodian faction dealing with their oppressive government. It added a lot of depth and nuance to the faction, and it was one of the things that attracted me to the game off the bat. That’s all gone now. The story is now greatly simplified. As someone who played before and remembers much of that depth, it’s not a crippling flaw, but newcomers to the game will be missing out on a lot of important world-building. There are also a lot of gameplay features that seem to have been removed or downplayed. It’s a bit hard to say because I can’t quite tell what all is gone, and what’s just changed. It took me until yesterday to realize that changing gear appearances was still an option but had simply moved from an NPC to a UI menu you can access anywhere. That’s actually a great change, but nothing tells you the feature is there. By that same token, I honestly can’t tell if crafting and gathering have been removed, are now exclusive to high levels, or if I’m just missing them somehow. I still have an essencetapping skill in my character sheet, and I found some nodes in the housing zone, but they only seemed to drop housing-related currency. Meanwhile the crafting facilities seem removed from cities, and I can’t find gathering nodes in the open world zones I’ve been adventuring in. Methinks this update may have been a bit rushed. Group content has also been massively downplayed, at least while leveling. Group quests used to be commonplace (frustratingly so), but as of now I’ve yet to encounter a single group quest, or even a group dungeon. As a mainly solo player, this is no skin off my hide, but even I must admit it feels odd to be level forty in an MMO and not even have the option for group content. 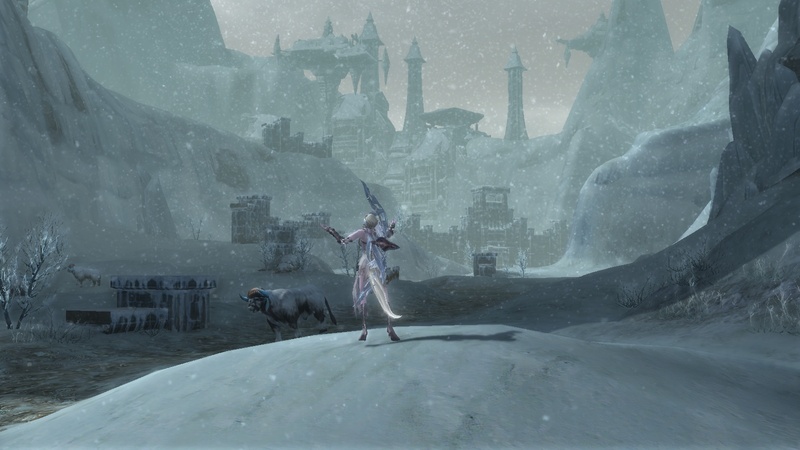 From what I can tell PvP is still crucial to Aion’s endgame, but I haven’t encountered any enemy players while questing so far, despite spending a lot of time in zones that are theoretically contested. I haven’t been prompted to raid Elysea yet, either. Supposedly the new server is a bit under-populated at the moment, so that may be lessening the PvP aspect. Some changes are entirely good. There’s now an easy to use waypoint system to port you between quest hubs, which is a massive time-saver. You can also now vendor items directly from your inventory, which took me longer than it should have to realize. Beyond that, it does remain recognizably Aion. The combat is much as I remember it: the best example of the worst style of MMO combat. It’s a standard tab target system with unchanging rotations, but the animations are flashy and incredibly satisfying, there’s little to no downtime in the rotations, and the chain skill system is oddly compelling to me for some reason. It’s still too early to say if Awakened Legacy will convert me to a serious Aion player, or whether this will just be another brief flirtation. The grind of kill ten rats quests holds little appeal for me these days, but I don’t have a lot else on my plate, and as I’ve said, I do adore Atreia as a setting, whatever other problems the game may have. 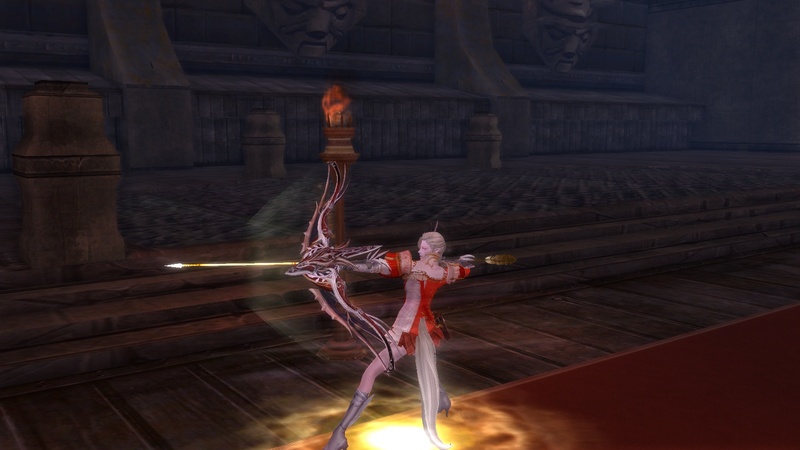 This entry was posted in Games and tagged Aion, fantasy by Tyler F.M. Edwards. Bookmark the permalink. It has been years for me. I can’t even remember how far I got. I believe I got to the first big city, and received my wings, but that was it. I think I will try it out again – nothing to lose, afterall. STill, will be very curious to see what would basically be a full fresh perspective for me compared to yours as a player who reached 30. TBH I’m not sure there’s much difference between getting to level ten (when you get your wings) and level thirty. It’s still just lowbie stuff. I remember I made it as far as the intro quests to the Abyss, but never did any activities there.